Performance at De Player, Hillelaan 49d, 3072 JE Rotterdam (NL). Start at 20h30. Entrance: 7€. 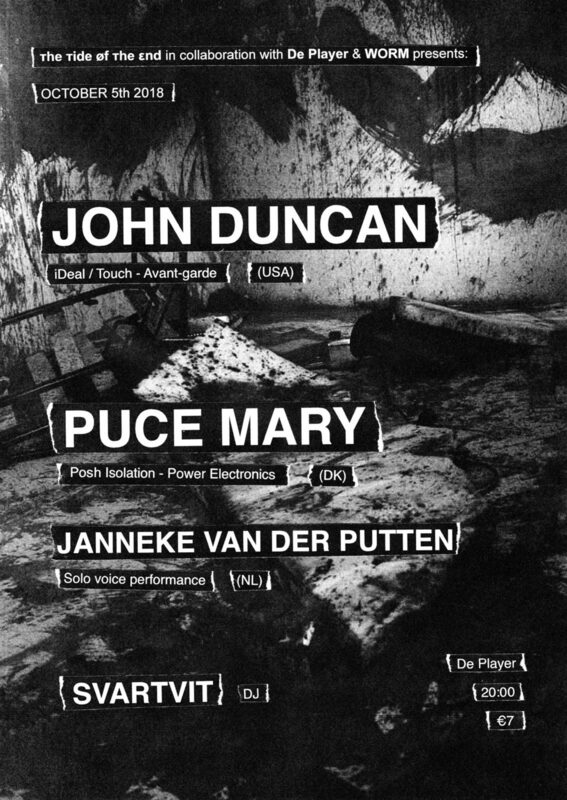 This event is a program with and around the oeuvre of John Duncan (us). 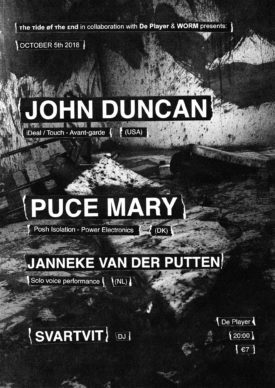 Duncan himself will appear as well as Puce Mary (dk).